When you consider everything in your car that uses some sort of a light bulb, you quickly begin to see that you have many more than you might have realized. Dome lights, brake lights, dash board lights, turn signal lights, parking lights, vanity lights, trunk lights, glove box lights, opera lights, puddle lights, headlights, backup lights, daytime running lights…you get the point. They’re everywhere! 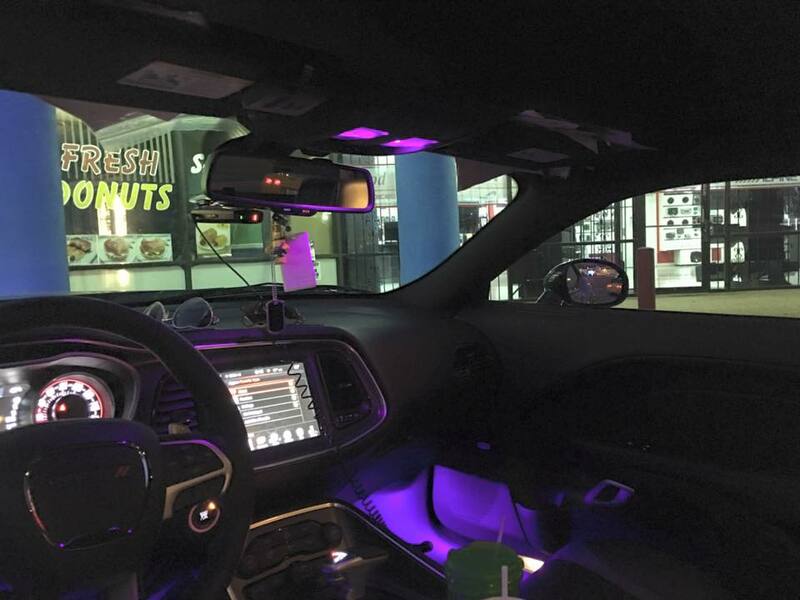 You’ve probably got more types of lights in your car than you do in your house! As if there weren’t enough lights, we like to add more lights; cab lights, truck bed lights, running lights, off-road lights, position lights, etc. The fact is the better your lights, the better you’ll see and the better you’ll be seen. 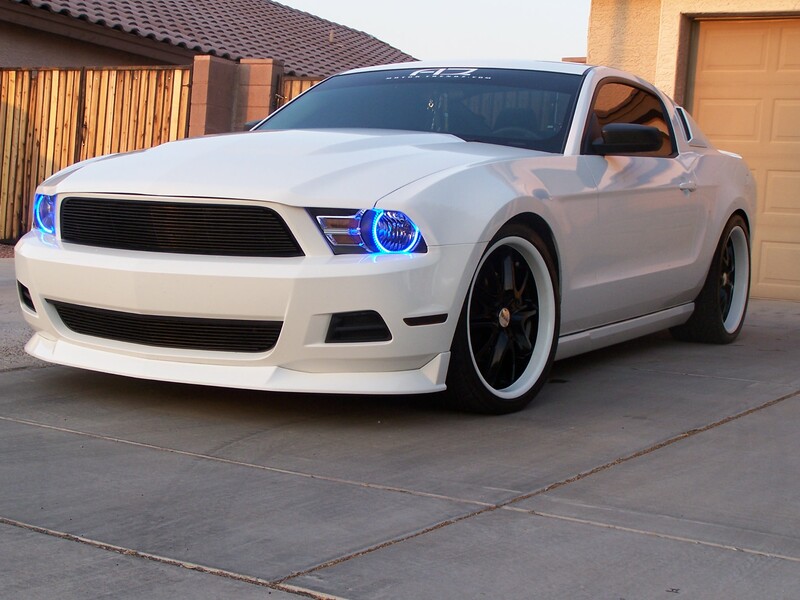 Texas Audio carries a huge selection of high quality LED lighting products for cars and motorcycles. In addition to being highly efficient and providing superior lighting, our products are also designed with the aesthetic enhancement of your vehicle in mind. Texas Audio’s interior LED lighting products change dull yellowish stock bulbs to a brighter, whiter white. They are also available in a wide variety of colors. Texas Audio’s exterior LED lighting products replace stock light bulbs, upgrading the look of the vehicle. The LED bulbs last longer, burn brighter, are more colorful, use less energy and make your vehicle stand out from the crowd. 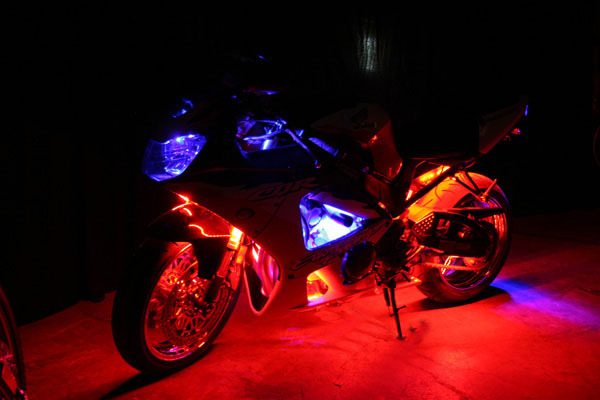 Texas Audio’s motorcycle LED lights are used to accent chrome and painted parts, engines or wheels. They also provide added safety and visibility to other drivers at night.